The upside of social media is that it is fun to use. We can get connected with other people in seconds, and meet people from all around the world. We can get our message out on the internet to thousands, and have it go viral in a matter of hours. The use of social media is an addiction that is truly here to stay. And as we speak, innovative companies are creating new and unique products so that we can extend our social networking one step further. The downside with social media is that it can consume a lot of your precious time for little return. Apart from having made a few more new online friends for the day or laughed at someone’s funny comment or spoof, you spend the whole day online but have nothing to show for it. Select a few social media outlets that you like and leave the rest – they will still be there waiting for you if you need them. You might even notch things up and shut off any social media distractions for the day – that way, you won’t be tempted to find out who did what and what happened next. Make a list of ways in which you are going to use social media to better your cause. If you have a blog, brainstorm ideas on how you are promote your blog via Twitter, Facebook, LinkedIn or Digg. For example, if you have been working feverishly on a new ebook, tapping into social media networks is a great way of getting the word out about the launch of your ebook. Social media allows you to enlist the members of your online network to help build the momentum of your launch and spread the word much faster than you could do all by yourself. Like will gravitate to like. 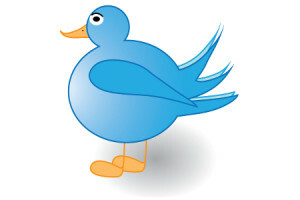 If you haven’t got around to setting up a Twitter account, set one up and start tweeting. You will be surprised at the number of followers you can attract, regardless of the topic you write about! Take a look at your followers and start to make contact with those who you feel that you have some synergies with. It’s easier than you think to build up a group of followers in your area of interest. Save time and automate your broadcasts using tools that automate your Facebook, Twitter and Linked in updates. TweetDeck is useful for scheduling tweets ahead of time and for monitoring activity with your Twitter account. Set up different Twitter accounts for different blogs – you will have a different voice or purpose for each of your blogs, so it is a good idea to separate your followers for each blog. You can also save time and use a service that distributes your messages across the multiple social bookmarking sites. Onlywire.com syndicates your content to the Internet’s top social bookmarking sites at the touch of a button – very handy! Social media networking is one of the fastest growing aspects of the Internet – so get onboard and start enjoying the benefits of social media in your online projects.